Lentils/Dal form an important part of any Indian meal. Different variety and styles are used in different parts of the country. It means that you can try a different one every day.J Usually served as a side dish, it’s a tasty way to get your protein for the day. So as the name suggests, it is prepared from five different lentils. 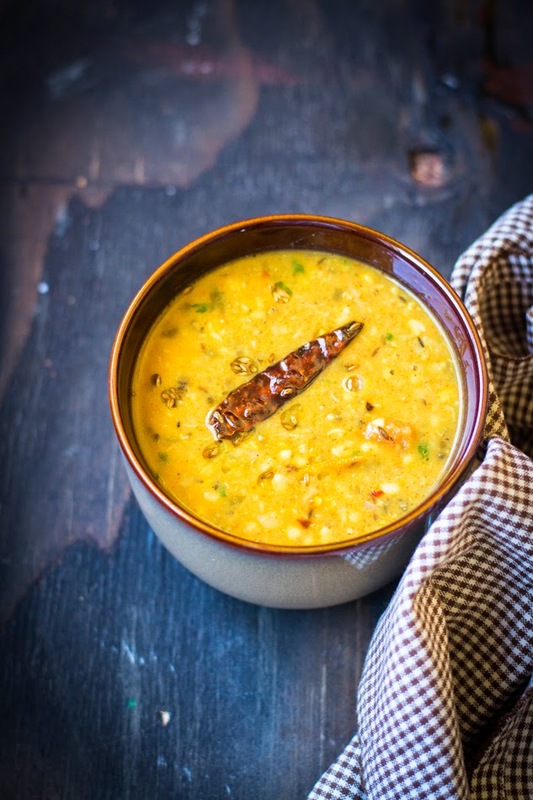 Split Urad dal, chana dal, whole masoor dal, split moong dal and toor / arhar dal are commonly used. 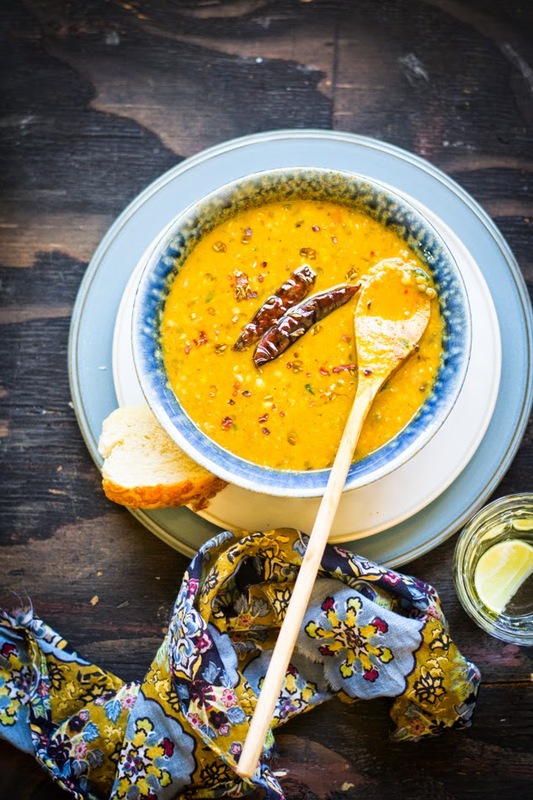 Other ingredients that make this dish richer in taste and flavor are chopped tomato, cinnamon, cloves, cumin seeds, chopped green chilies, turmeric powder, grated ginger, lemon juice and some chopped cilantro. 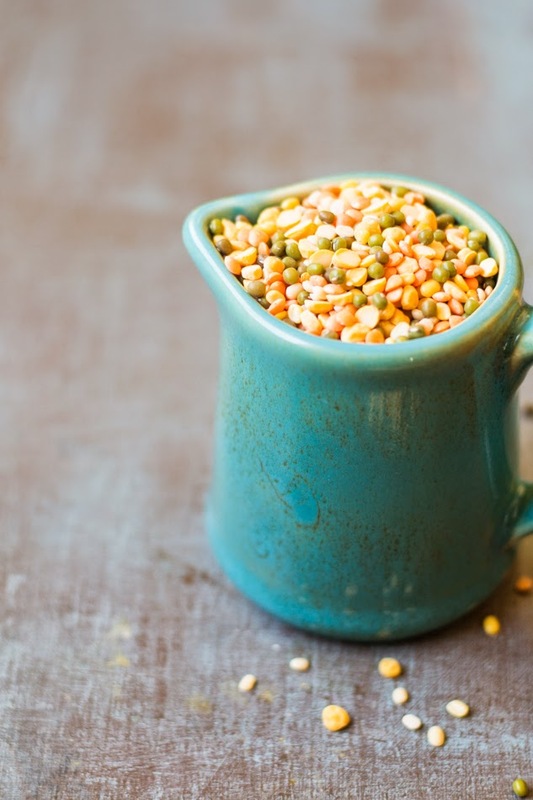 The lentils are first cooked in a pressure cooker till they are soft and then simmered together with other ingredients. First time I made this dal when I had small quantity of different dals in my kitchen. I was trying to use all of those together and so was searching for the recipe. I found the following one and tried out. The result was so delicious and aromatic that it has now become a favorite at my home. I have made few alterations, used onion and garlic, though it is delectable even without them. I have used pink lentil / Masoor dal in the place of whole masoor. 1. Wash and soak all the lentils in water for half an hour. Now take the dal in a pressure cooker, add 3 to 4 cups of water. Close the lid and let it cook until 3 whistles come. 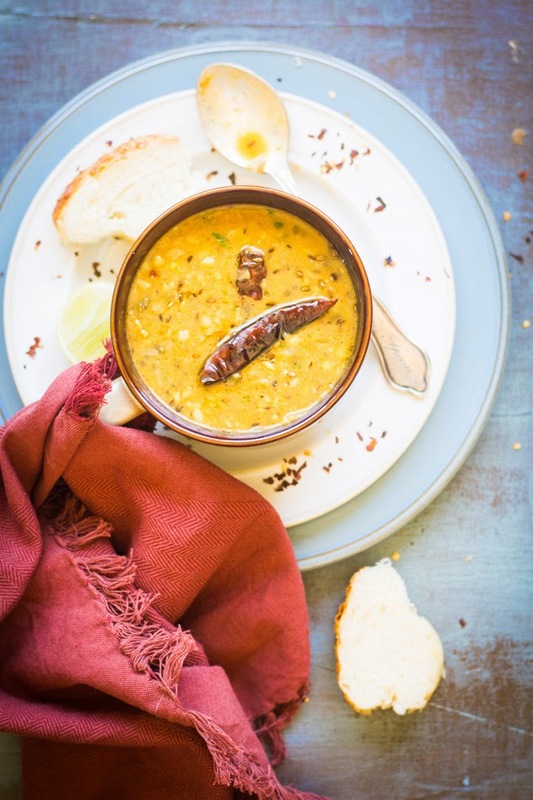 You may cook the dal in a pot or a sauce pan, but it will take lot of time. Once dal is well-cooked, set it aside. 2. Take a big pan, add oil and heat it up. Add cumin seeds, green cardamoms, cinnamon stick, cloves and broken red chili to the pan, wait until they are fragrant. Now add asafoetida. 3. (If you are using onion and garlic) Add chopped onion, stir it until it is translucent. Add the garlic, cook till the raw smell goes off. 4. Add ginger, stir and mix it. Now add the turmeric powder, red chili powder and coriander powder. Stir it until oil starts coming out from the sides of the pan. Add the chopped tomato, add salt and cook it until tomato becomes soft. 5. Once the spices are well cooked, add the cooked dal. Add salt, add water to get the right consistency. Simmer the dal for another 8 to 10 minutes. 6. Check the consistency, check seasoning. Add a handful of chopped cilantro and switch off the gas. 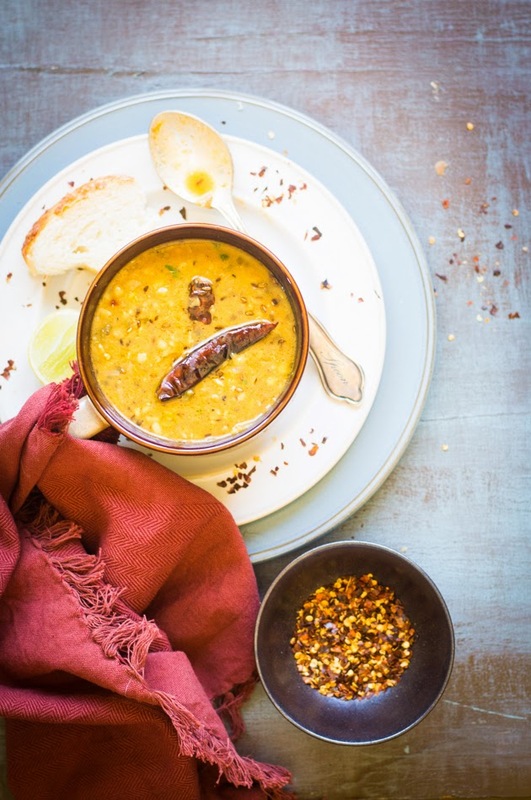 Serve hot with rice or Indian flat bread.